Who Course is For: Fire fighters, rescue teams, and professional rescuers. This rope rescue course is designed to prepare emergency responders to conduct rescues in a tower environment. 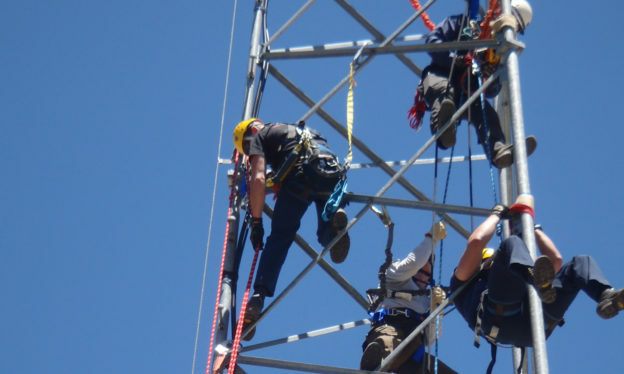 Topics include basic and specialized equipment, ropes and rigging, safety considerations, scene management and organization, simple pickoff in a tower environment, lowering, extrication of entangled workers, team based rescue and litter management in a tower environment. Please Call (800) 208.2723 to inquire or schedule a course!